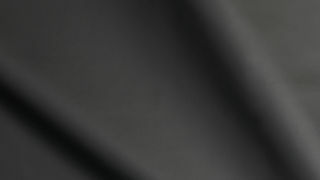 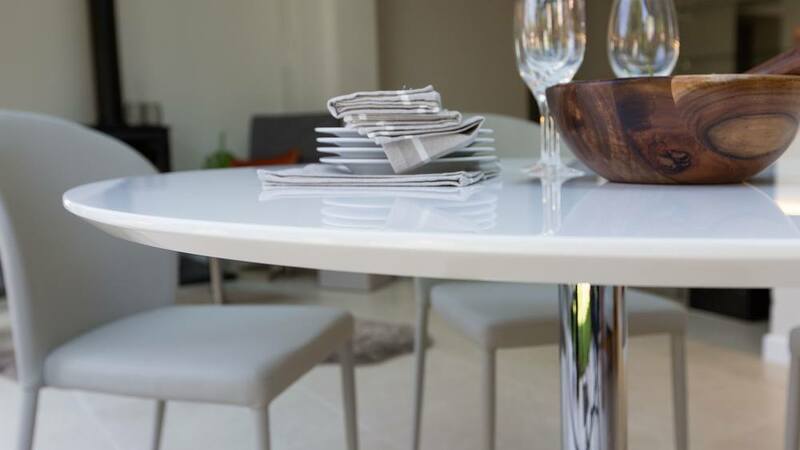 The round table surface of the Naro frees up much more room as there are no corner edges. 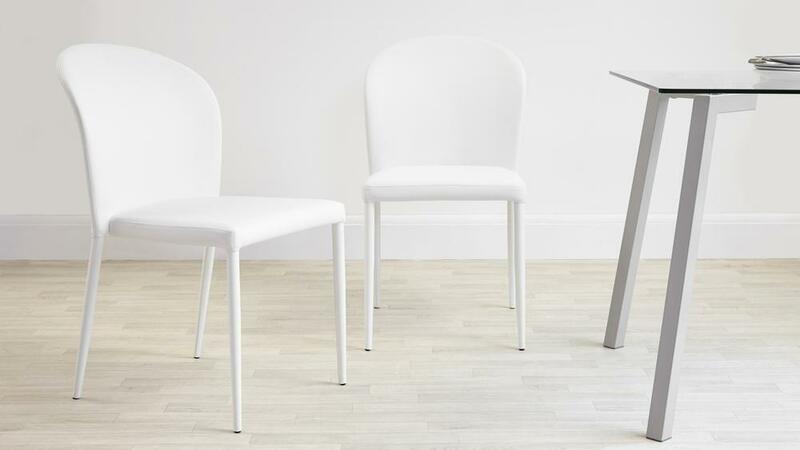 This allows you to really make the most of your space and will stop people having to squeeze past and tuck in when someone needs to walk by.  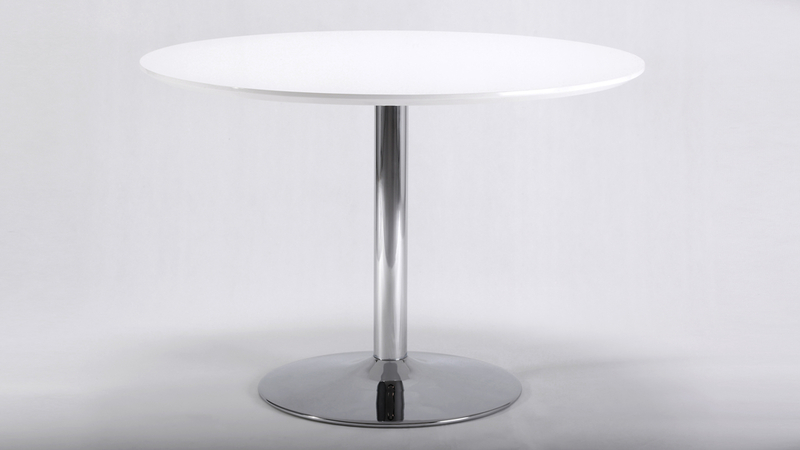 The white gloss table top of the Naro sits on a chrome finished trumpet-shaped base. 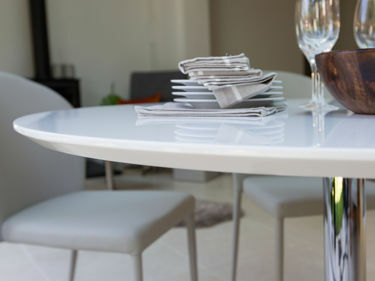 Like the round top, the pedestal base will keep the area around the table very open and spacious. 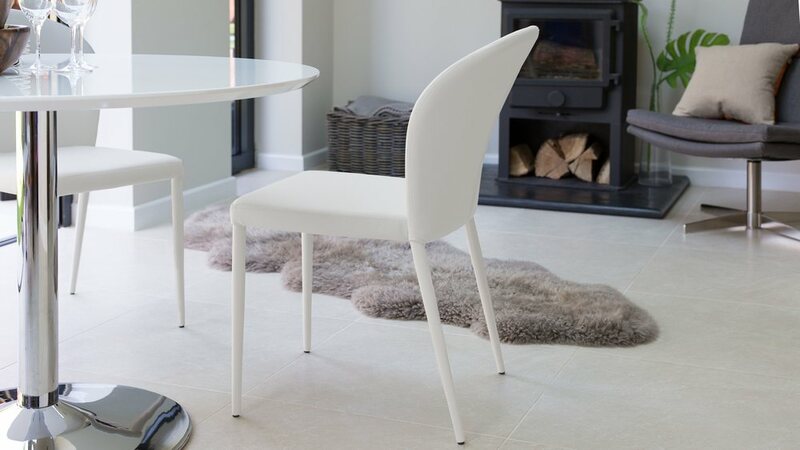 This allows for plenty of legroom around the base of the table, as there are no legs getting in the way. 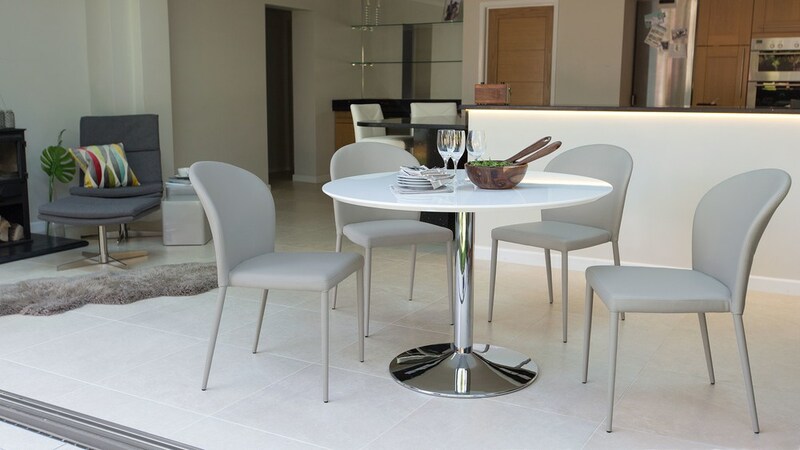 The table top of the Naro measures 110cm in diameter comfortably seating 4 people. 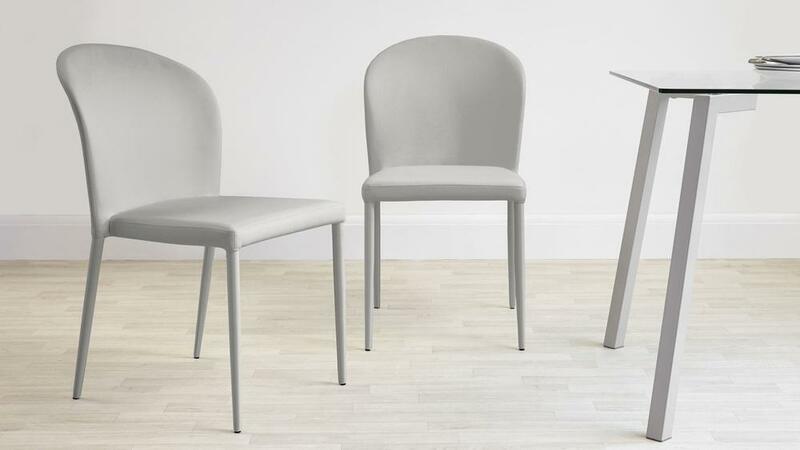 This sizing allows enough room for each person and place setting, making it a great choice for everyday dining. 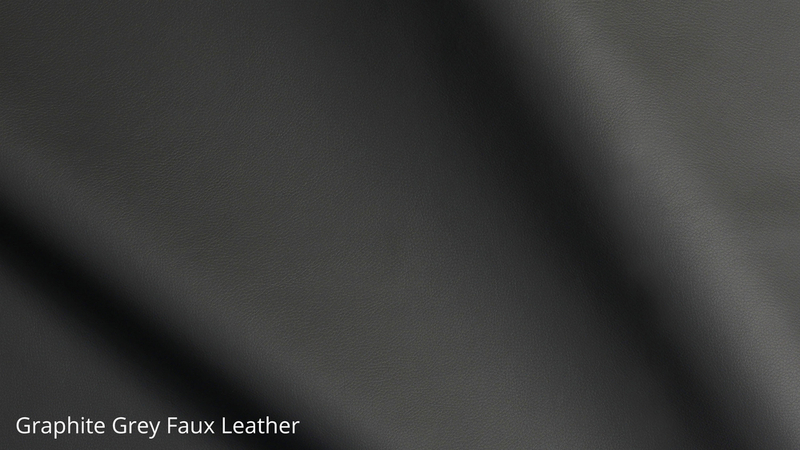 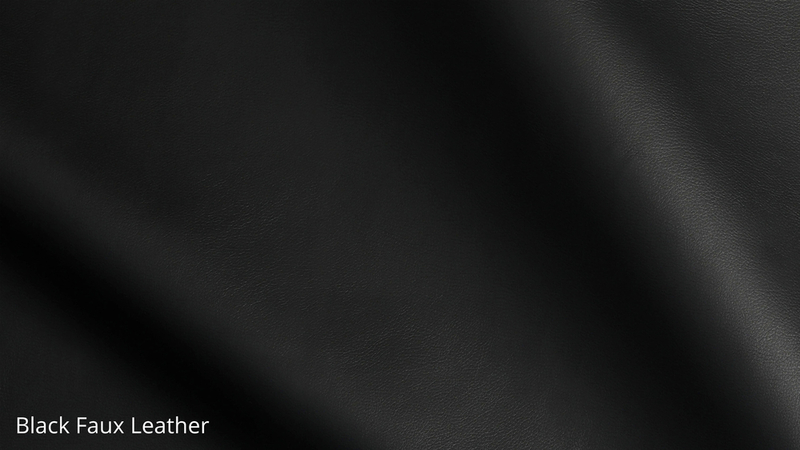 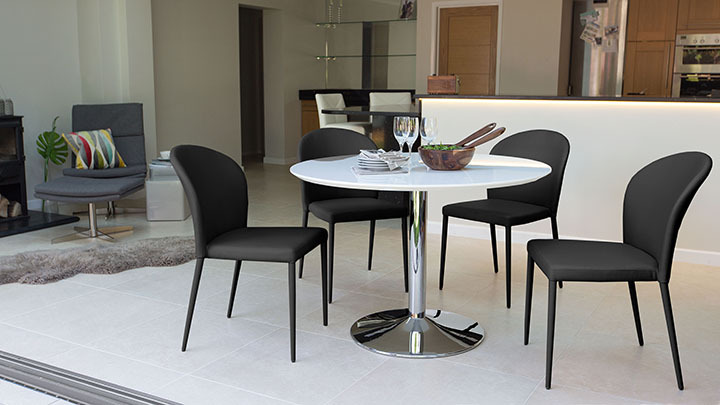 Fully upholstered in a wonderfully soft faux leather, the Santo dining chairs add a soft, tactile quality to this set. 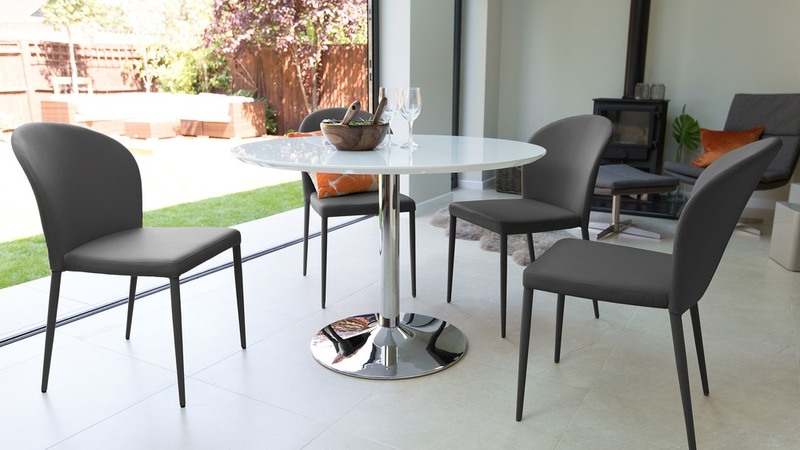 This, combined with the rounded table design and curvature of the Santo's seat back, creates a setting where you can comfortably sit down to dinner in style. 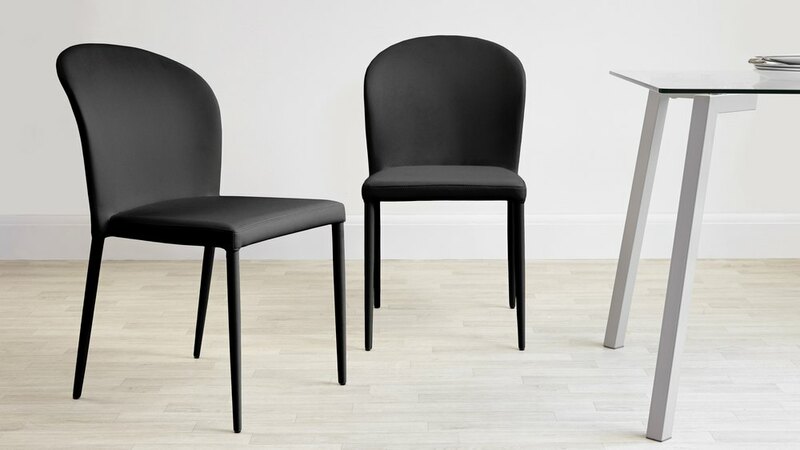 The design of the Santo combines its elegant look with the added function of being a stackable seat. 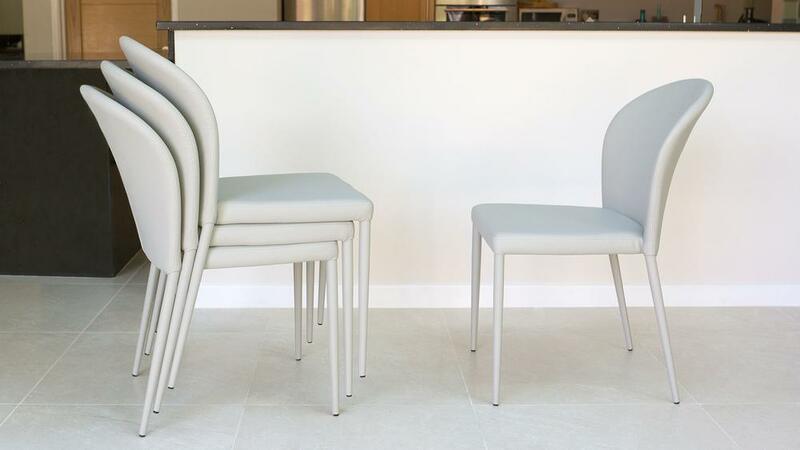 This means you can quickly and easily store away any extra seats when they're not needed, ready for when you have more guests round for dinner. 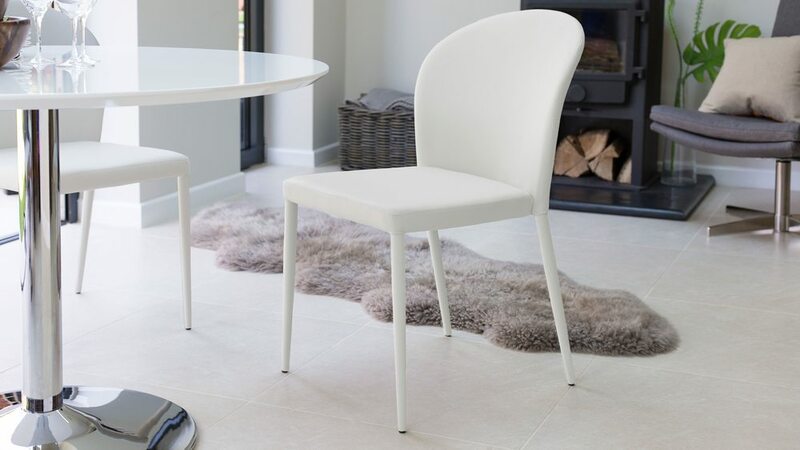 The Naro White Gloss and Santo Stackable 4 Seater Dining Set has been put together with the intention to make your dining space look good, and you feel great, when you're sat down with friends and family for dinner. 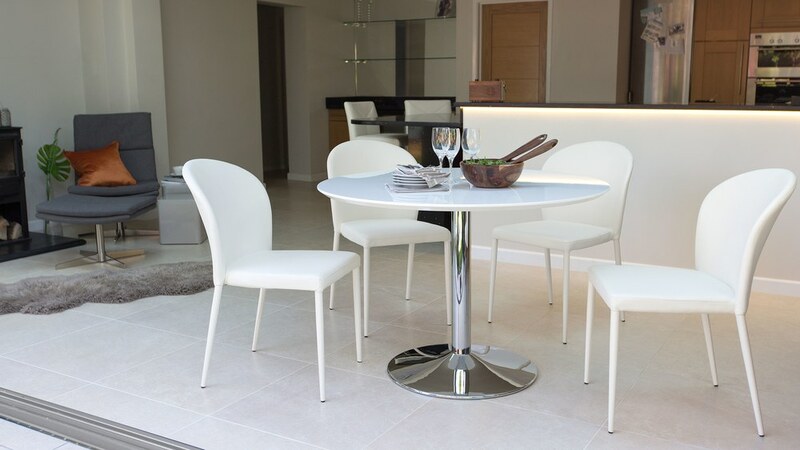 If you would like more information on each of the products in this stylish set, the Naro White Gloss Round Dining Table and Santo Stackable Dining Chairs can also be viewed separately.